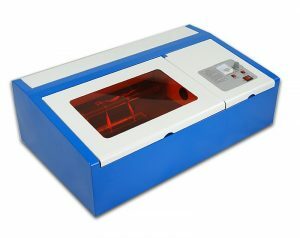 A CO2 laser cutter/engraver has been on our wish list for many years. The capabilities they can provide to a hobby/small business operation are almost limitless. The ability to cut and engrave a multitude of materials from wood to acrylic make them a great tool for prototyping and small scale production. The ability to engrave on existing premade products to give them a personalized custom look also opens up new sales potential. Having a CNC router and 3D printer already in our shop, a laser cutter/engrave was the next logical step to take things up a level in what we could design and make in house. However when it comes to buying a laser system there are a lot of factors at play, one of the biggest is price and the bang for your buck with all the variations in power, size, reliability, support, and so on. It’s a complex system with a number of critical items to consider with a wide range of options available on the market. In recent years a lot of cheap Chinese systems have become available, opening up access to many smaller businesses and hobbyists. The biggest issue is the hassle in getting one landed in your country, especially in Canada, having to deal with a reseller on the other side of the world, the shipping headaches to get it delivered, along with the potential for damage on the way or having to deal with service after the fact. It seems very hit or miss with these systems, forums and discussions are filled with success and horror stories, a lot comes down to luck in what you get. But it certainly provides an entry level option if money is the limiting factor. Systems can be found on eBay starting as little as $1000CAD depending on specs plus the often expensive shipping. But as they say, you get what you pay for and there are a lot of bad systems out there so it takes a lot of research to get something reliable at this price point. The next step up from importing your own is dealing with a North American rebranded/reworked Chinese system. There are a number of such resellers popping up that basically refurbish or handle the shipping aspects of the Chinese systems, but at a price. You generally end up paying more for the same system but at least with a local company to deal with for assistance and issues, although even that can be hit or miss. 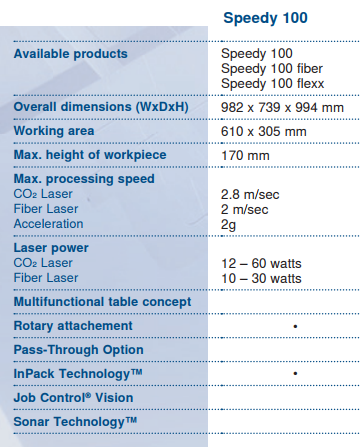 Full Spectrum Laser is one company in this segment that has probably been around the longest. They have systems running around $4500-$6500CAD targeted at hobbyists with a 20″X12″ work area at 45W. User feedback on FSL is all across the map from the good to the bad, quality and support seems to be hit or miss and number of stories of firmware issues and missing features on their latest Muse system are popping up. We had look at purchasing a FSL system off and on for the last year, but never got a great sense of value for the price point and potential issues for a laser in its power range, which was borderline for much of our intended uses. New companies like Glowforge are taking this a step further building their own water cooled CO2 systems. The project has gone through a lot of delays from being one of the biggest Kickstarter fundings ever to just recently starting to ship after a number of long delays in the schedule. We had considered going with a Glowforge but the current preorder delivery schedule is still 4 months out, which is probably optimistic. This is a long time to wait on a system we had already been wanting for years, and in the end it is still a glass tube based system. Pricing as well was on the higher end for their Pro model, coming in at over $8,000CAD with shipping for a 45W systems with 20″X18″ work area. Most all of these cheaper systems are based on water cooled glass CO2 laser modules. They provide a cheaper option to commercial systems that usually use air cooled metal or ceramic tubes. The power is often less consistent and the usage lifespan lower. There is also having to deal with cooling tanks, pumps, and chiller systems for the water they use. 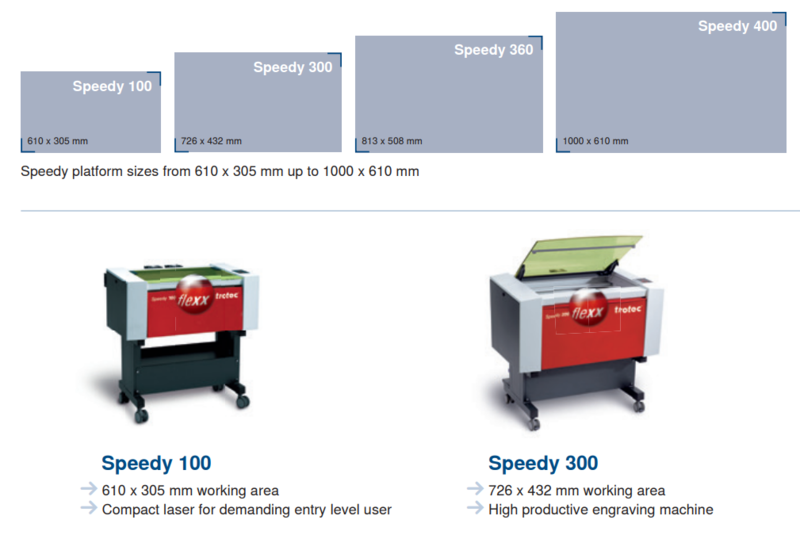 Stepping up to next level most systems have metal or ceramic laser modules. These are typically air cooled so no need for water cooling systems, making them a much cleaner and more reliable setup with less things to go wrong; water and electricity in a laser is not an ideal mix! These systems do come at a price however, starting at around $12,000CAD and upwards, but you are in to a totally different class of machine over the CO2 glass tube systems more focused on limited hobby use. On the entry level commercial side there are a number of options, the main ones being from Trotec, Epilog, and Universal Laser Systems. These are the most discussed on popular forums such SawmillCreek & CNC Zone which were great resources for getting real world feedback from users on what they liked and disliked from the various brands. In the end a lot comes down to a Ford vs Chevy debate on which make is best so you need to read between the lines and figure out which one suits your needs best. They are all similar but offer different options and performance. From a lot of reading and research Trotec is often considered the Cadillac of the crowd, offering a solid built, higher speeds, with great customer service. Having a North American distributor was a large part of out final decision, and better still a Canadian based reseller, which Trotec had. Pricing and features were in the same ballpark as similar Epilog systems, who also had a Canadian distributor, but all our reading seemed to give Trotec the edge in performance and overall customer satisfaction with their purchase, and in the end we went with Trotec Canada. Trotec Canada also has a great YouTube channel which was a helpful in researching systems and seeing them in use and their capabilities. Choosing the power and size of the system was the next big choice to make. As with all decisions it usually comes down to budget, as bigger and more powerful adds to the price. We settled for the Speedy 100 60W, which has a 12″X24″ cutting area, sufficient for most of the ideas we currently have in mind, and a step up in power over most of the available hobby level systems we had considered in the past. 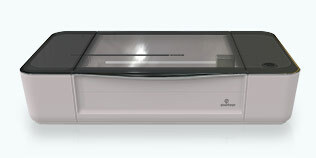 We went with a leasing option for the full purchase price of our systems, which came in around $22,000CAD before tax. While more expensive in the end, leasing allowed us a fixed monthly cost we could afford for a system that would be out of budget to buy outright. The lease also allows it to be more easily treated as an expense instead of a capital purchase to depreciate off the books. Trotec provided a leasing agent and the process for approval and purchase was quick and easy done over a couple days, most of which was our decision to give the go ahead. After that we finalized shipping & delivery details, as we do not have a loading dock which was not an issue, and Trotec prepped the system to go out and it made the truck to head east the next day. The process from end to end thus far dealing with Trotec has been without issue. Now the hard part, waiting for delivery!